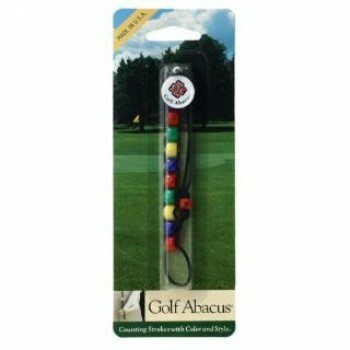 Just slide a bead down after each stroke then count them up at the end of each hole. Attaches to belt loop, waist band, or golf bag. Available in counter display bulk or individual package. Assorted colors. Attaches to golf glove One-finger operation One-touch reset Records up to twelve strokes..
Just slide a bead down after each stroke then count them up at the end of each hole. Attaches to bel..